People move to Beaumont because they want to remain socially, mentally and physically engaged – and residents get every opportunity. Beaumont is the only Continuing Care Retirement Community (CCRC) in the nation that is cooperatively owned and governed by residents. As a result, they are directly involved in charting a holistic approach to wellness, connecting the Health Center with continuing education, event programming, dining and nutrition, and of course fitness. Fitness at Beaumont is a key component of the Wellness equation for residents at any age. The new, ultra-modern Fitness Center was completely re-built two years ago, and features a heated pool, comfortable dressing areas, a gym with state-of-the-art equipment, and a roomy group exercise room. But as with all disciplines, some coaching is required. Diana takes a personal approach to put residents at ease before they come face-to-face with the exercise machines. She starts with a one-on-one meeting to begin developing a customized program based on their health history, their abilities, and goals. “No matter their level of fitness or ability, I work with them to develop a program that is best for their overall wellness and moves them toward their goals,” she added. Diana bases her programs on a recent study by NHIS where researchers found that older adults who strength trained twice a week had 46% lower odds of death for any reason than those who did not. They also had 41% lower odds of cardiac arrest and 19% lower odds of dying from cancer. 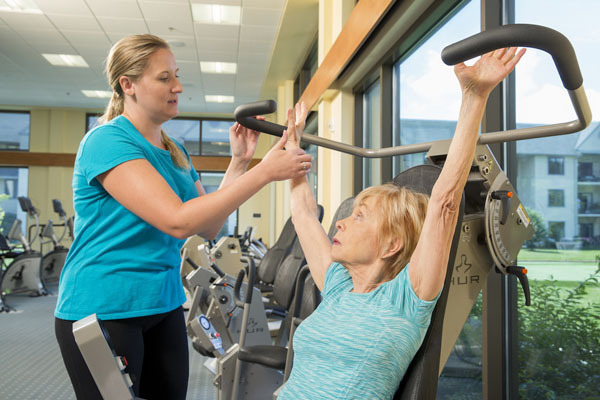 Accordingly, she incorporates resistance exercises into her workout programs to help residents reduce the risk of falls and injuries, and boost their metabolism to help control age-related weight gain. Mrs. Eta Glassman, a resident and regular on the equipment circuit, completes her regimen faithfully each and every morning. “When my husband and I moved to Beaumont a few years ago, my husband had trouble walking. Now, my husband is much stronger and happier, a game-changer for us,” she said, proudly showing off her biceps. Diana has set some lofty goals for herself too. She is working on developing a series of educational programs with the help of outside experts, as well as some fun wellness incentive programs for residents. 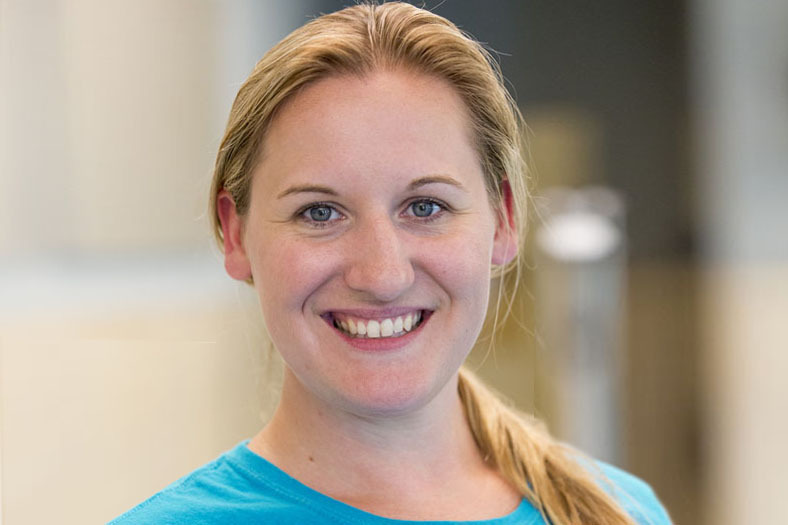 She recently coordinated multiple fitness events for Active Aging Week, a yearly celebration through the International Council on Active Aging, and gives frequent talks on Fall Prevention.